This mountain is called Table Rock because the portion on the left resembles a table, with the smaller peak on the right being the stool. 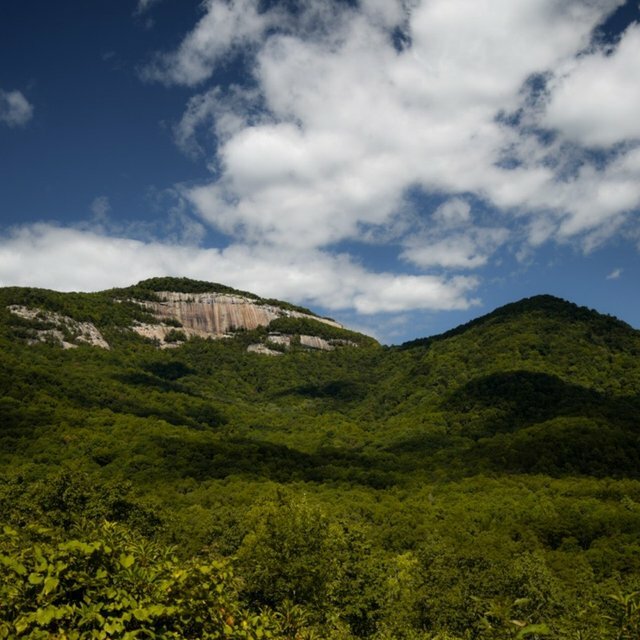 This mountain is one of the tallest (and arguably the most well known) peak in the Blue Ridge Mountains of South Carolina. Taken from the State Park below the mountain.